Top it off with color! 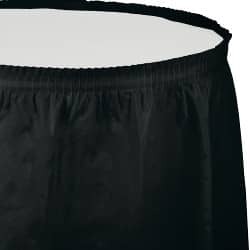 We've got your tables covered with this black tableskirt. It is the perfect addition for all of your party possibilities.